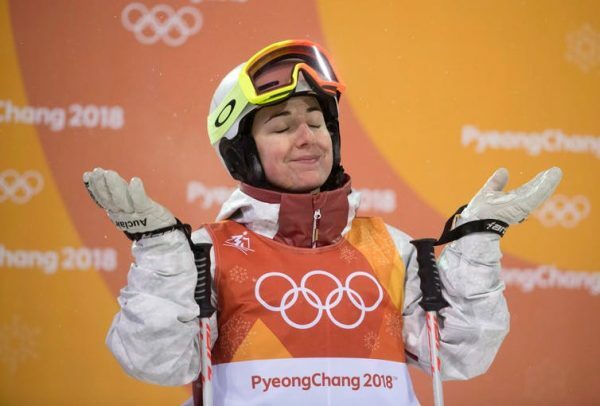 There have been some amazing performances so far from the athletes who have won medals at the Pyeongchang Winter Olympics. But behind those who take gold, silver, or bronze are stories of personal failures and setbacks for the athletes who never made it to the medal podium. When athletes experience failures and setbacks, not only are they often harsh and self-critical, but there can be other consequences, such as a loss of funding and support systems. Even the fear of experiencing failures and setbacks can prevent athletes from delivering their best performances when they are needed the most. Finding resources that athletes can use to help them navigate through difficult emotional experiences—whether they occur before, during, or after an event like the Olympics—is essential to their success. Research suggests self-compassion can be a useful resource to deal with failures and setbacks if athletes can treat themselves kindly rather than be harsh and self-critical. It can allow them to balance their thoughts and emotions and recognize that other competitors experience similar hardships. Self-confidence typically refers to athletes’ belief that they can be successful. Self-esteem refers to an overall evaluation of self-worth. Self-confidence and self-esteem are often linked—if athletes feel competent in sport, that competence can be an important part of high self-esteem. One exercise asked athletes to write a note to themselves expressing understanding, kindness, and concern in the same way they would talk to a friend experiencing the same situation. Athletes who took part in the intervention reported a significant increase in self-compassion, as well as significant decreases in concerns over mistakes, rumination, and self-criticism. From our and our colleagues’ research with athletes from a range of sports and levels of competition, the types of failures and setbacks athletes often report include feeling responsible for a team loss, injury, failing to meet personal goals and expectations, making errors, making social comparisons, and getting stuck at performance plateaus. You might be wondering when self-compassion is useful for athletes—before, during, or after a competition. In our research with female athletes, they have explained it may also be useful to be self-compassionate during a setback—such as when they make mistakes in competition and in the immediate moment of realizing they are being harshly self-critical. A number of self-compassion practices, including guided meditations, writing activities, and other exercises have been developed. Many of these practices teach people how to be kind towards themselves through increasing awareness of their current thoughts and changing inner dialogues by reframing a self-critical voice in a way that is more positive and friendly. While still in its relative infancy, there is a growing body of research that shows self-compassion is clearly relevant to the lives of athletes and has benefits beyond self-esteem. Athletes with greater levels of self-compassion have greater autonomy (the freedom to make and act on one’s own choices) and body appreciation, as well as lower reported levels of fear of failure, shame, and negative self-evaluation. Female athletes have expressed hesitation about being too self-compassionate for fear of becoming complacent or passive in the pursuit of their sporting goals. Male athletes, in particular, might face threats to their masculinity by taking a self-compassionate approach to sport. Kent Kowalski is a professor of kinesiology at the University of Saskatchewan and Leah Ferguson, is an assistant professor of kinesiology at the University of Saskatchewan. This article was originally published on The Conversation.